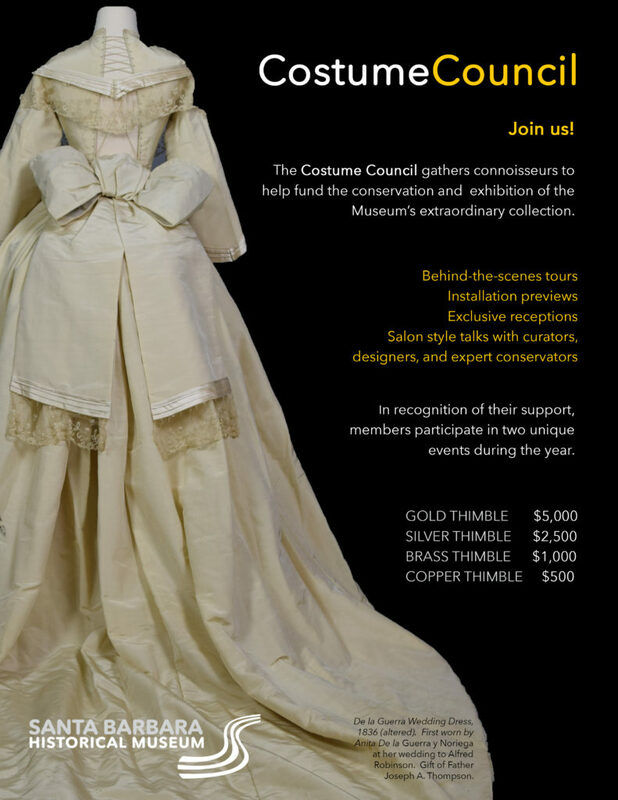 Join Sharon Bradford, President and co-chairs Nancy Hunter and Cheryl Zeigler in supporting the Museum’s Costume Council. All contributions are tax deductible. For more information contact membership@sbhistorical.org or (805) 966-1601, extension 110.